Recently, I was invited to deliver two keynote addresses in Melbourne, Australia at the annual meeting of The Health Roundtable, which is the equivalent of University Healthsystem Consortium (UHC) for the teaching hospitals of Australia and New Zealand, about 85 members in all. Inspired by the content of our last two years of our annual reports, Algorithms for Innovation, two visitors from Australia who are part of The Health Roundtable, including general manager David Dean, Ph.D., came to Salt Lake City, meeting with members of the team and touring our main campus and South Jordan facilities. Impressed with it all, they invited me to speak at this annual meeting about the challenges of health care reform in the U.S. and some of the innovative approaches and best practices that might be shareable despite the distance of the Pacific Ocean between us. In particular, they were intrigued with the concept of the “Impossible Problems” that we laid out this year. At the same time, the trip afforded me some valuable insights into the health system of Australia (time did not permit a visit to New Zealand, unfortunately) that included visits to teaching hospitals in Sydney and Melbourne. So the learning on the trip was very much a two-way street, albeit down the opposite side of said street. In Australia, health care currently consumes about 9% of the overall economy (compared to about 18% in the U.S.), and the trajectory is inching upward. 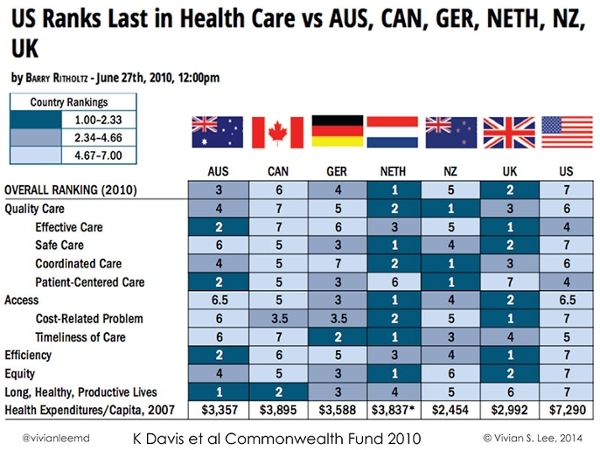 That said, their health outcomes are significantly better than those in the U.S., and New Zealand’s are better still. Both Australia and New Zealand have a major public health system, with a growing private sector. 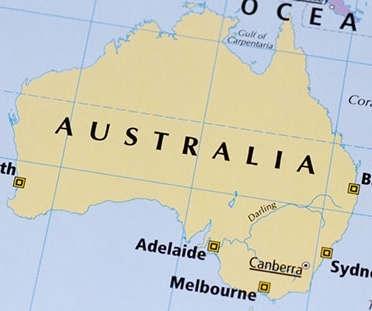 In Australia, the public system is supported by a combination of federal and state funding (with interesting variations from state to state, sound familiar?). In the growing private health sector, many people also buy separate health insurance. It costs about $2000 to $5000 per person per year and enables them rapid access to elective services like hip replacements, eye surgery, and the like. For acute needs or serious medical problems, the public health system is the place to go. Physicians frequently work in both worlds. In fact, it seems common for university faculty to work at least one day in the private sector, which is viewed as an opportunity to top up incomes. Conversely private practice faculty often contract for at least a day of services in the public sector (though some suggested these providers may not always work as hard as they do in the private sector). Interestingly, the growing trend is toward increased accountability. In fact, the latest development is a movement toward something called “activity-based funding.” In this model, rather than providing annually negotiated block grants, the government funds are shelled out based on the work done, which overall is already limited on the upside at the beginning of the year. Quality measures are mostly reserved for accreditation processes and have not become major factors in payment. Ditto for patient satisfaction. In fact, because the volume of cases for each hospital is capped by contract, hospitals are not incentivized to compete against each other. As a result, there is not an advertisement or billboard for hospitals or physicians to be seen across the country. And most have a reliable catchment area, so that patients are not viewed as having much choice in the process. Our discussions about the U’s “Exceptional Patient Experience” were filled with wonder and “aha” moments, as many seemed to consider the value of patient satisfaction —often from the viewpoint as consumers themselves— for the first time. On the transparency side, the Health Roundtable is making major contributions. It is an organization focused on collecting data and sharing it across medical centers to allow for bench marking. While they tend to use codes in place of the names of the major centers, it appears most members know the codes. The Health Roundtable is starting to collaborate with the UHC. The more we can learn from each other, the faster we’ll all move forward, and these impossible problems won’t seem so impossible for long. About the Author: Dr. Vivian S. Lee is the Former Senior Vice President for Health Sciences at the University of Utah, Dean of the University of Utah School of Medicine, and CEO of University of Utah Health.